I'd love to schedule a session with you! 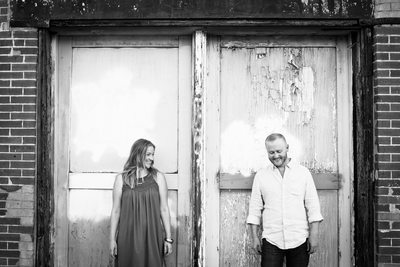 Engagement portraits are a great practice run for the big day. They can make you feel less anxious about how you look and act in the front of the camera, plus the session allows you to see how I operate behind the camera. I am a Denver, Colorado wedding, engagement and portrait photographer. 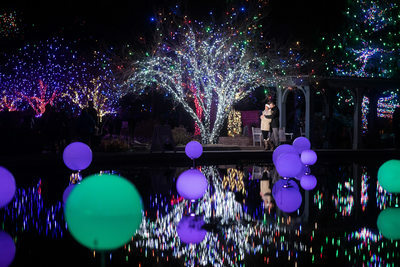 In this engagement gallery, you will see a variety of engagement photos taken all over Colorado, in Chicago, IL, and in New York City, NY. Colorado has some beautiful locations. You will also see several proposals. Wedding proposals are one of my favorite things to photograph - the surprise, joy, love and elation are amazing to capture. One of my favorite engagement locations is Lookout Mountain. 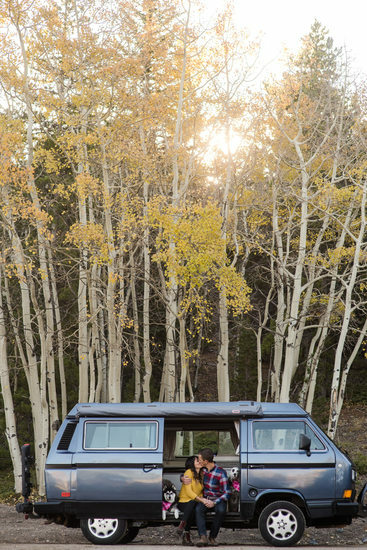 There are several spots with mountain views that are a close drive from Denver. One great spot for engagement photos is Evergreen Lake. Mountain views, pine trees and a large lake make up this area. Mount Falcon Park and Red Rocks Park in Morrison are both beautiful locations made up of red rocks, mountain views, hiking trails, large trees and long grasses. There are some areas of Golden which have beautiful views of the mountains and easy areas to get to to have those views in the background. 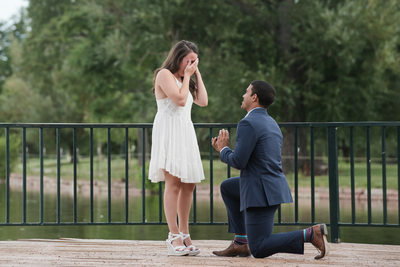 In the city of Denver, there are also a number of popular engagement session locations. City Park, with it’s mountain views, funky boathouse, large lake and fun architecture from the Museum of Nature and Science. Cheeseman Park is pretty, as it has white columns and beautifully large trees. Wash Park is another popular park option with it’s large flower gardens, 2 lakes, boathouse and variety of trees. Some people want a more urban look to their photos. The Highlands, with its views of the Denver skyline and the old brick buildings, especially near Linger and LoHi, is very photogenic. Another popular area is RiNo because of the very colorful murals that decorate the alleyways and vacant buildings. Speaking of vacant buildings, the textures found on those old buildings can make for some awesome backgrounds to engagement portraits. Last, but not least, the area around Union Station has a real urban feel. The alleyways are full of great colors, metals and brick walls. 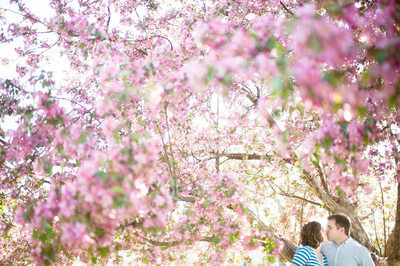 Commons Park is a short walk away and on that walk, you pass many great spots for engagement photos. Often people ask what time of day to do their engagement session. I recommend early morning (i’m talking sunrise), or early evening, about 1-1.5 hours before sunset. This gives us the best, most flattering light to work with, and who doesn’t want to look their best? As for what time of year - that’s up to you. 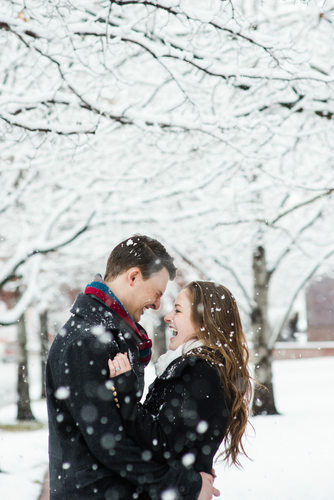 It may be fun to do your engagement pictures in a different season than your wedding. So if your wedding is in summer, maybe you’d want to do late fall or a snowy winter session. Although I am based in Denver, and photograph all over Colorado, I am available for destination engagement sessions as well. Feel free to email me for more info regarding Denver engagement portraits or destination engagement sessions.